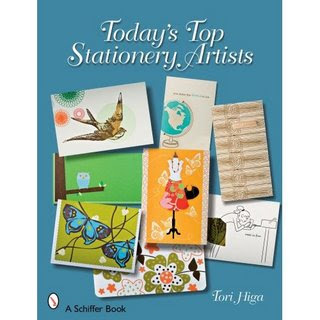 Today's Top Stationery Artists is currently #1 on my HAVE TO ORDER RIGHT NOW list (tied with Erin's lovely Inspiration poster in purple). I see one of my favourite cards from Letterspace made the cover and I'm excited to see what other lines made it inside this book. I suppose I'll find out in a few business days. I can't wait! Spotted on People's Paper [originally via Print & Pattern].